The cloud has opened up possibilities for an unprecedented degree of flexibility, convenience and productivity for enterprises and their employees alike. To make the best use of the benefits of the cloud, it is necessary to optimise processes at every stage of an employee's journey at an organization. 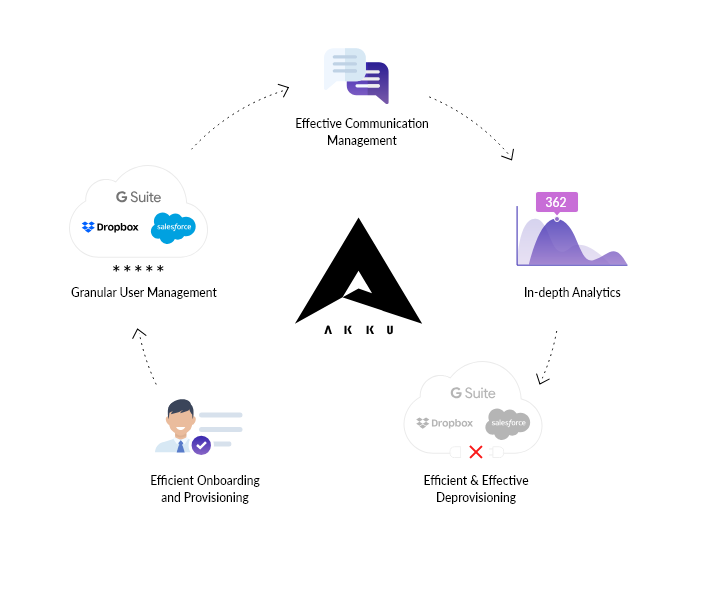 Akku offers a comprehensive solution to corporate identity lifecycle management.